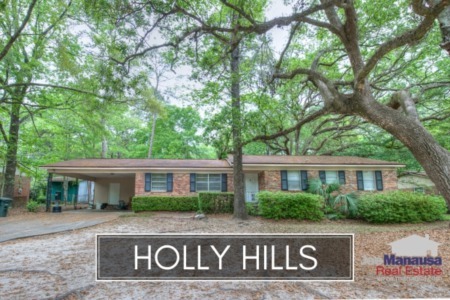 Holly Hills is a rare gem of a neighborhood that has not yet seen the great impact of the housing market recovery like much of the rest of Tallahassee. Located south of Hartsfield Road just north of Tharpe Street, these large homes and on huge lots are selling for small prices (for the time being). The following report includes three graphs (average home price trends, average home value trends, and average home size trends in Holly Hills), as well as a list of all closed home sales going back to 1991. It is important to note that the narrative contained below is for sales through December for all previous years, but through the tenth of December in 2018. The graphs and the closed sales table will be continuously updated into the future (meaning bookmark this page if you always want to know the current status of homes in the Holly Hills). Average home prices are up nearly four percent in 2018, but I don't think these low prices can last forever. When one considers how much home and land you get for the price, you realize these homes will soon be selling for more than $200,000. 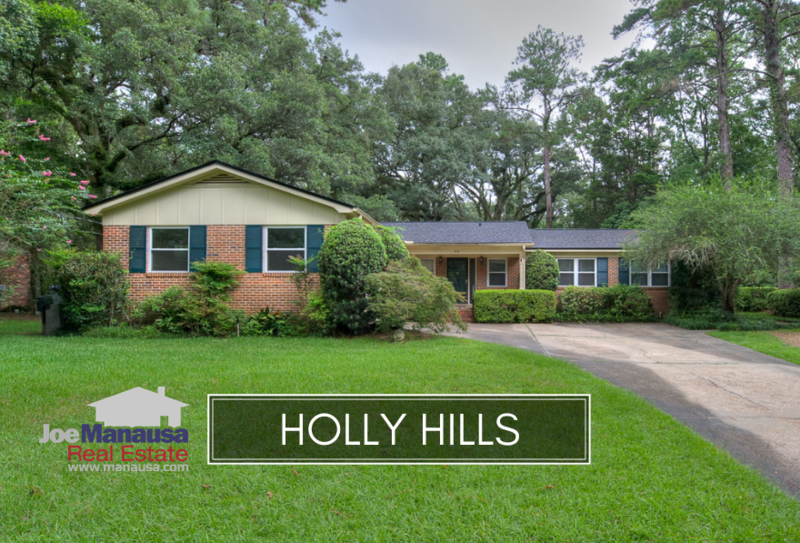 Currently, the average home price in Holly Hills is $151,800, which is astonishing when you consider these are three and four bedroom homes on a third of an acre with great proximity to Midtown Tallahassee. Following two very strong years with a high number of homes sold, Holly Hills has seen activity cool off. Currently, there are ten homes for sale in Holly Hills, and four are already under contract. 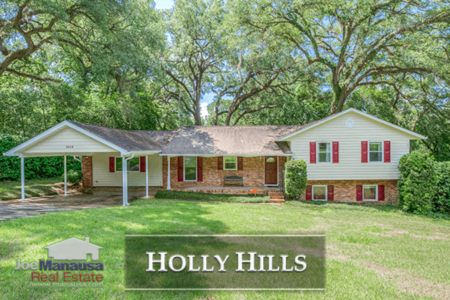 Average home values in Holly Hills are starting to move higher, joining the rest of west-side Tallahassee and finally joining the housing market recovery. The average value of a home sold in Holly Hills thus far in 2018 is $94 per square foot, an increase that is more than 4% higher in 2018 versus the 2017 average. The average home size sold in Holly Hills typically falls in a range of 1,500 to 1,800 square feet, and this year has been no different. The 17 homes sold in 2018 have averaged 1,606 square feet. The following list shows nearly 500 home sales in Holly Hills going back to 1991. This concludes our December 2018 update on home sales in Holly Hills, please give us a call at (850) 366-8917 or drop us a note if you have questions about this hidden gem of a neighborhood. Why not work with the top Realtor in Tallahassee? Here's what people are saying about working with Joe Manausa Real Estate, you can see hundreds of real customer reviews reported on Google, Facebook and Zillow right here: http://www.manausa.com/testimonials.